1. Any order placed from 21st Oct. to 1st Nov. will be packed with a surprise gift! 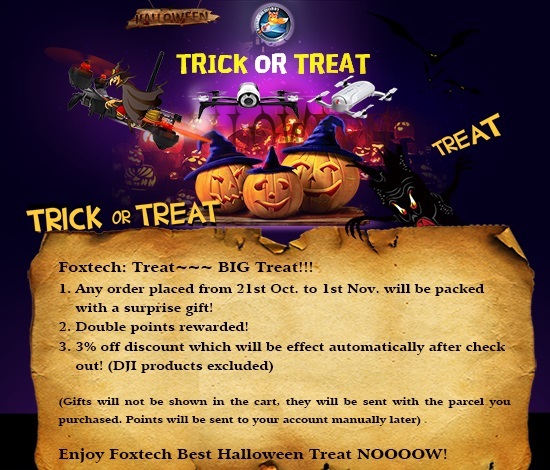 Enjoy Foxtech Best Halloween Treat NOOOOW! 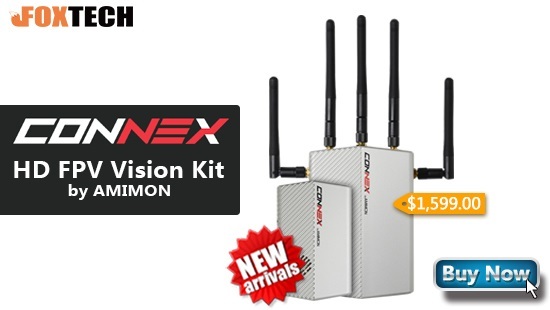 AMIMON’s CONNEX provides a high-end, high-performance wireless HD connection that can operate in challenging unmanned air or ground platforms under harsh conditions with zero latency, such as UAV/UGV etc. 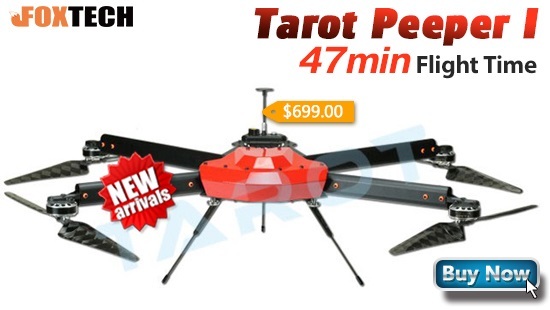 Tarot Peeper 1 is a standard long flight time drone. 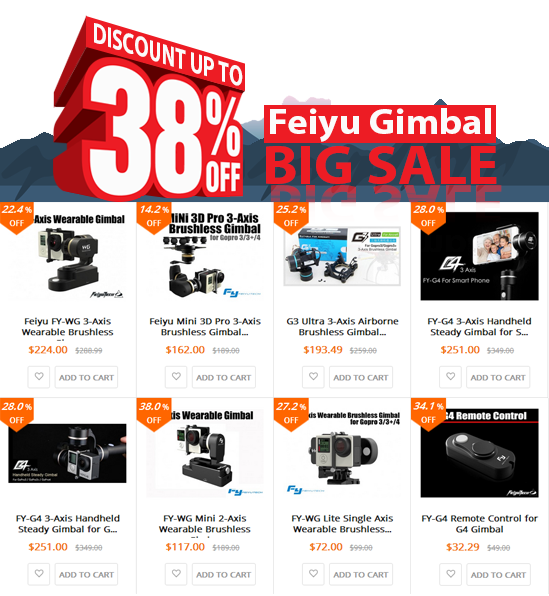 The practical flight time is 47 minutes when loading Gopro 3-axis gimbal(250g), video transmitter set and 10,000mAH lipo battery. 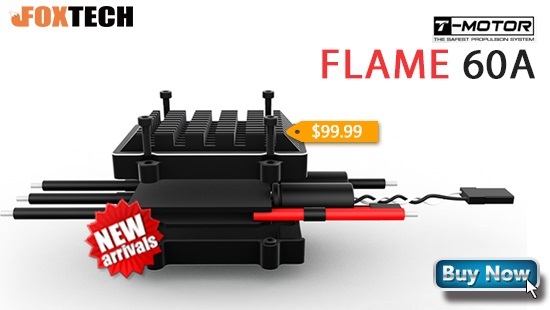 Tmotor Flame 60A ESC has special core program for Multi-rotor controllers greatly improves throttle response, and DEO technology significantly improves throttle linearity & driving efficiency. 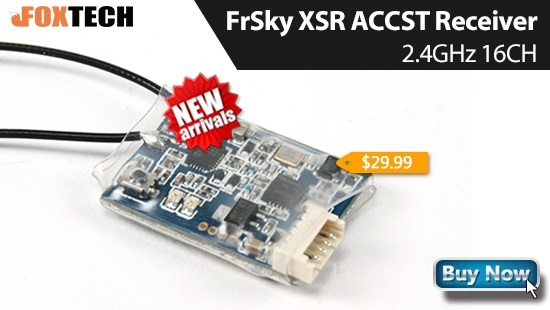 FrSky XSR mini receiver is physically smaller and lighter weight than the X4R receiver making it great for mini racing quads or any other airborne application where size and weight is a consideration.